When you picture a horse, you may imagine it grazing contentedly in a grassy pasture. Grazing lets horses move around naturally outdoors and socialize with other horses. And grass is an easily available, nutritious feed that horses like eating. If you have the land, providing pasture for horses is less costly than buying hay. Unfortunately, when it gets hot many cool-season grasses go through a summer slump. This reduces both the amount and the quality of grass available for grazing. Perennial warm-season grasses do well in hot conditions, but they do not survive cold winters. As a result, they can't be grazed in the Upper Midwest. A new study by Krishona Martinson and colleagues at the University of Minnesota shows that warm-season annual grasses have good potential for use in horse pastures. 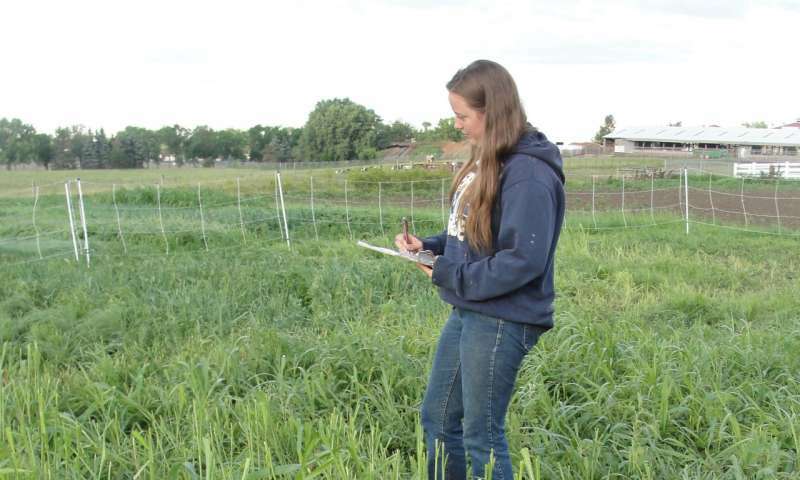 "Annual grasses need to be replanted from seed each year, so they involve more work than perennial grasses, but they provide horse owners more summer grazing options," noted Martinson. Martinson is Equine Extension Specialist at the University of Minnesota. The grasses included varieties of teff, sudangrass, sorghum sudangrass, and both Japanese and Siberian millet. Martinson said, "These grasses were chosen for their potential to yield well in the local climate and some had previously been grown for hay or grazed by cattle in the region." Ryegrass, an annual cool-season grass, was also planted to serve as a comparison. The horses were allowed to graze freely among all the grass types for four-hour periods. Grazing was allowed when the grasses were young and again after the grasses had a chance to regrow. Researchers carefully evaluated the grasses before and after grazing to find out what grasses the horses preferred. This sequence was repeated several times over the course of two summers. The researchers also did lab testing to analyze the grasses' nutritive content. Sudangrass and sorghum-sudangrass showed the greatest yields and regrew the most after grazing. Siberian millet was the lowest yielding grass. Horses most preferred the annual cool-season ryegrass, but among the warm-season grasses, they highly preferred teff and sudangrass. The study showed that some annual warm-season grasses may be helpful as emergency forages if perennial pastures have been damaged. These grasses can also allow grazing during the summer slump of cool-season grasses. 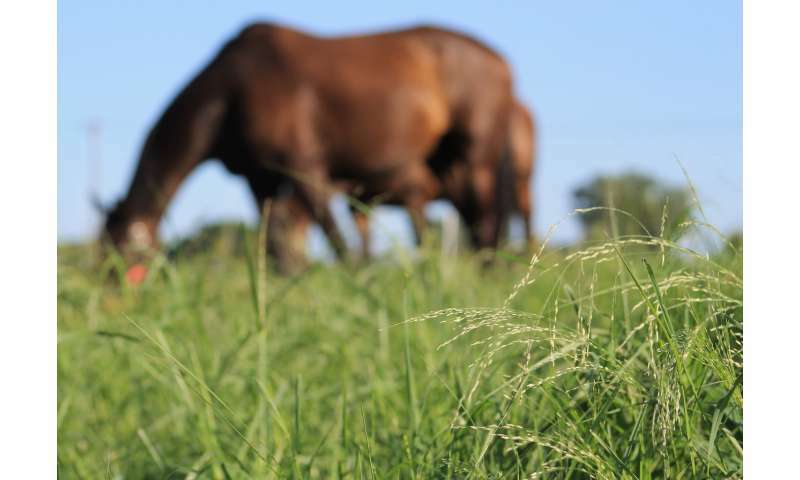 A horse owner could set aside an area for planting warm-season grasses each year. Martinson suggests that "teff shows potential as an annual warm-season horse pasture forage." This study also revealed a finding that can help some horses. Horses with some health conditions are usually kept from grazing on pasture, Martinson noted. This is because certain nutritional contents of the grass can trigger disease symptoms. The warm-season grasses proved to have less of the problematic contents than cool-season grasses. Happily, this means that warm-season annual forages may offer these horses the chance to graze in grassy pastures once again. You can read more about this study in Agronomy Journal.